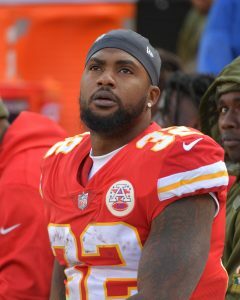 The Jets met with running back Spencer Ware on Wednesday, according to Rich Cimini of ESPN.com (on Twitter). Then, on Thursday, the club will host fellow free agent running back Ty Montgomery, as Field Yates of ESPN.com tweets. Ware previously met with the Colts and Lions, but left town without signing with either club. Ware first made noise in 2015 when he ran for 403 yards with the Chiefs and averaged 5.6 yards per carry in a limited sample. In 2016, he was the Chiefs’ starter and amassed 921 yards with a 4.3 yards-per-tote average. His usage fluctuated over the course of three healthy years in KC, but the 27-year-old’s career 4.7 YPC shows promise. Ware could be a solid backup for Le’Veon Bell and the same goes for Montgomery, who came out of nowhere in 2016 to average 5.9 yards per carry for the Packers. Montgomery’s production, understandably, dropped after that, and the Packers dropped him from the roster with an October trade last year after his late game fumble cost them a chance at beating the Rams. Either veteran could back up Bell, but the Jets could also find supporting RBs in this month’s draft.